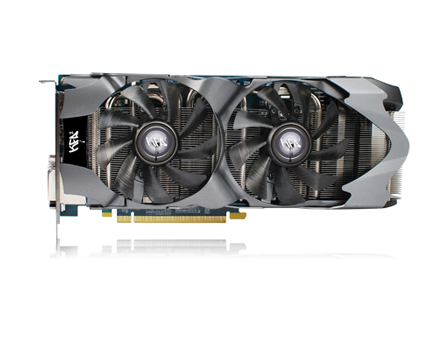 The KFA2 GeForce® GTX 660 Ti EX OC 2GB edition is fitted with a newly designed twin fan cooler built on quad nickel plated heat pipes with an aluminum base. This new cooler delivers outstanding airflow with minimal noise levels and overall a more enjoyable gaming experience. The KFA2 GTX 660 Ti EX OC 3GB comes with further on board memory, an indispensable asset for ultra-high resolution gaming. This 3GB version has several other unique key features. 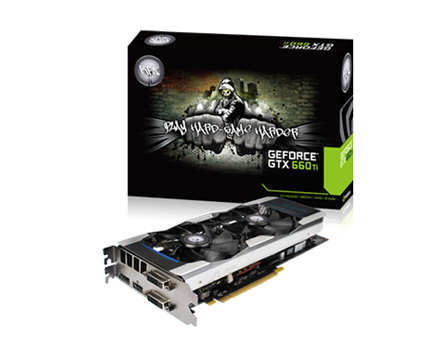 The cooling solution of the GTX 660 Ti EX OC 3GB is seated on a solid copper base for even better heat transfer, and the cooling shroud is constructed of solid brushed aluminum and accented with pulsating LED lights. 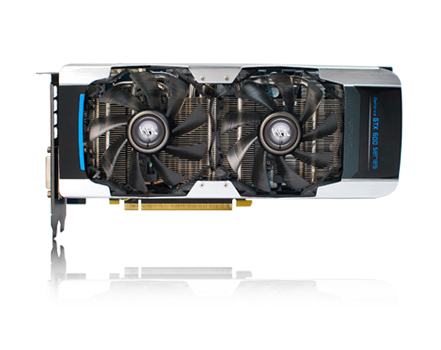 Both cards features the full range of GTX 600 series technologies including GPU Boost, Adaptive Vsync, PhysX, 3D Vision, and support for triple display Surround gaming with a 4th accessory display. All standard display types are supported including DisplayPort, HDMI, DVI, and VGA by way of an included adapter. 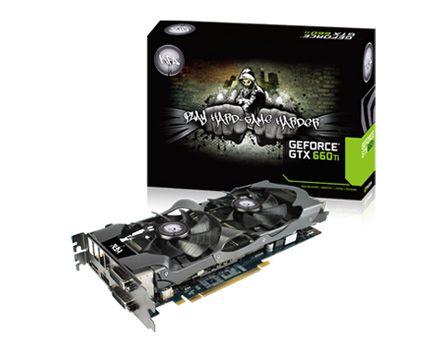 The KFA2 GeForce GTX 660 Ti series are backed by a 2 year warranty and will be available at leading online and in-store retailers throughout Europe.